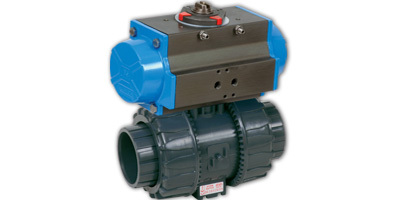 Pneumatically actuated Two-Way Ball Valve, available in Stainless Steel , Brass or PVC, each fitted with a direct mounted actuator. 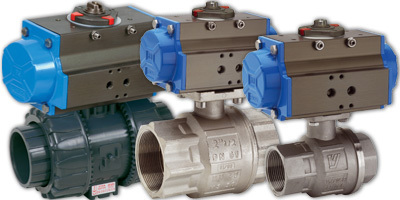 These valves are of the full bore design, suitable for any application with media suitable to the materials of construction. 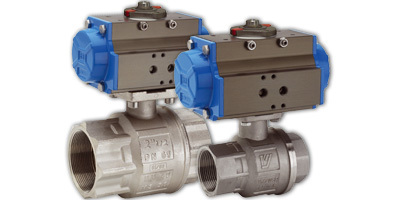 The Valves are pressure rated to PN16, and are suited to a temperature up to 160C dependent on the material of construction selected. Sizes currently available DN8 - DN100. Available in single acting actuation or double acting actuation.